Most roll form lines have several products if not many products. The key to increasing capacity on these types of lines is reducing changeover times. One key piece of equipment specifically with lines with a pre-pierce press is a “quick die change” or “automated” die change system. This system can change dies in less than 10 minutes with a push of a button. 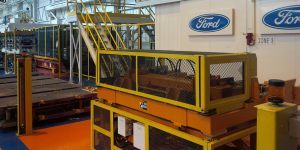 A rolling die cart which is pre-staged with the next die in the production schedule is indexed into the press for automatic loading and subsequent clamping. 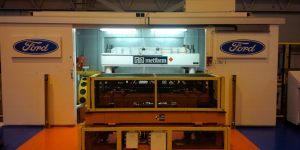 If your operation could use some die loading assistance but can’t afford fully automatic, Metform offers several mechanically assisted die loading systems. 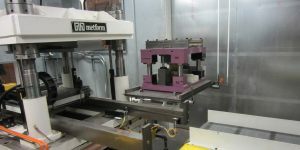 These systems still offer safe die loading at lower cost. 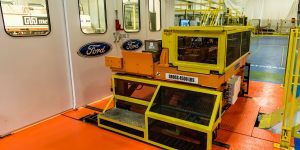 Die load automation that the industry truly needs!